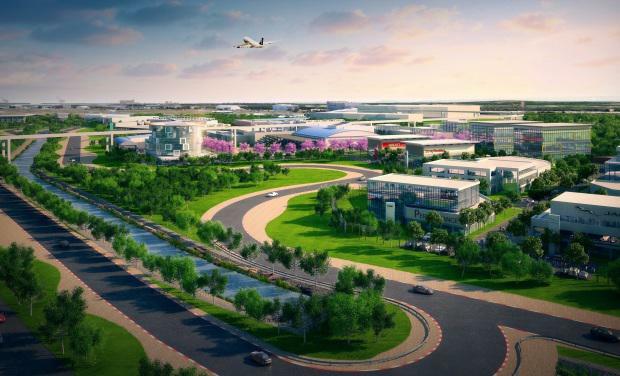 Brisbane Airport Unveils Plans For Massive "Auto Mall"
Brisbane Airport Corporation (BAC) has announced it is seeking a joint venture partner to help realise its new vision for Airport Central – an all-encompassing automotive precinct with dealerships, servicing, offices and associated retail. BAC CEO Julieanne Alroe said if the vision is fulfilled, the Auto Mall concept will be an Australian first. “Top dealerships would be brought together at a landmark new destination at Brisbane Airport,” Ms Alroe said. Ms Alroe said the 50 hectare site is a unique opportunity for investors and developers to partner with BAC to deliver a world class facility for Brisbane. “Brisbane Airport is the perfect location because it offers the size and flexibility needed for a precinct like this, in an extremely central location just 10 kilometres from the CBD,” she said. Ms Alroe said the vision promotes growth for Brisbane by offering an innovative new commercial hub that is consistent with the 2014 Airport Master Plan. “While aircraft will always be our first love, adding a premier automotive precinct to the growing airport community will be a win-win for the city and State,” Ms Alroe said. “Having an automotive precinct at the airport frees up prime real estate in the inner city areas, providing further options for developers and residents and space for our cultural precincts to prosper,” she said. V8 Supercar and Bathurst 1000 champion Mark Skaife said the test track is what makes the concept truly special. “Having the ability to test drive a new vehicle along a track is such a unique concept and something I am really excited to be a part of,” Mr Skaife said. The proposed BAC "Auto Mall"[/caption]But the racing champion said it’s not all about a need for speed. “The test track offers a safe environment for driver training and education programs and can also be used for events such as car launches and car club activities,” Mr Skaife said. Mr Skaife said the Auto Mall would reshape Brisbane’s fragmented automotive industry. “Having a range of dealerships and associated services at the one central precinct is just what Brisbane needs,” Mr Skaife said. BAC and appointed agents JLL are now calling for investors and developers to submit Expressions of Interest for the project. JLL International Director and Queensland Managing Director Geoff McIntyre said the site presents a once in a generation opportunity that is unique to the Australian market. Joint venture partnerships, investment and occupier arrangements will be considered.